This product complies with UK FD30 / FD30S safety regulations and adds additional cold smoke seals to mitigate against the spread of smoke for a minimum time of 30 minutes. This door is accredited for 30 minutes, during tests it has surpassed that by over ten minutes. 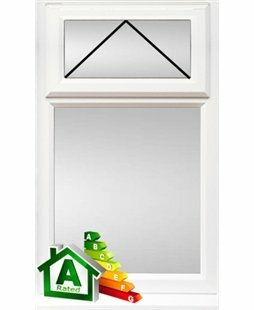 uPVC and steel constructed 70mm door frame with a specially designed 44mm multilayered particle board panel, coated by a 3mm thick uPVC skin. 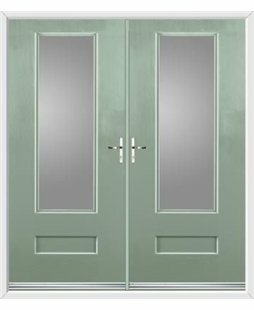 These doors come fitted with double glazed, pyroshield wired glass as standard. 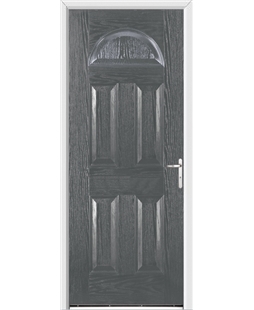 This FD30s door contains intumescent strips which foam and swell during a fire, filling the gap between door and frame; ensuring smoke does not get through. Handles come in the lever/lever configuration and are available in Gold and Chrome. This FD30s Fire Door comes complete with an overhead door closer to comply with fire regulations. 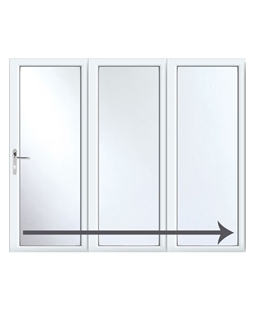 Our Fire Doors can be supplied with pyroguard unwired glass in the below styles. are always answered by real people, 24 hours a day, 7 days a week, including bank holidays.